If you are the market leader in a mature technology segment, how do you keep innovating to meet customers’ changing needs? At a March press event at its gas chromatography (GC) headquarters in Little Falls, Delaware, Agilent Technologies presented answers to this question. Agilent is the world’s largest provider of GC systems, having introduced the first GC system more than 40 years ago. Since then, the GC market has experienced rapid growth, as the technique’s routine use has spreads to a multitude of industries and end-users, ranging from energy to food to drug development as technology advancements increased sensitivity, reproducibility and throughput. 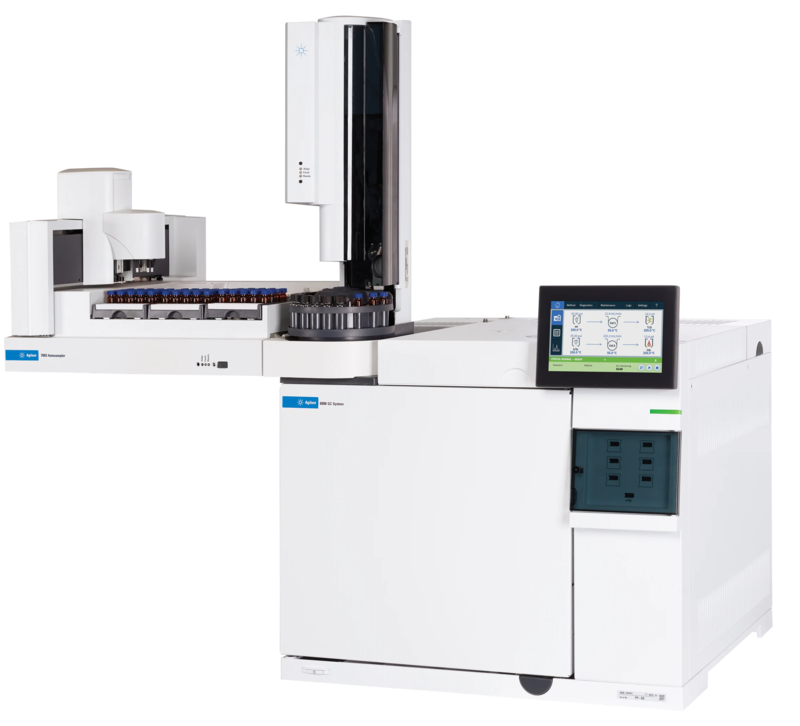 It is these functions that figure prominently in Agilent’s latest GC system introductions, starting with the Intuvo 9000 in 2016, and continuing with the debut last month of the 8890 and 8860 GCs. Built upon a new electronic architecture, the systems are designed to meet the changing needs of laboratories, including new demands for lab instrument efficiency, uptime and training. “While lab managers’ challenges remain the same, the impact of not effectively meeting those challenges has grown significantly,” explained Mr. Denoyer. “Technological advances have made the competitive landscape of our customers much steeper, while globalization has made their competitive landscape broader.” Among these changes is a wider deployment of GC systems—for example, in multiple labs at the same facility or on an offshore oil drilling platform. “In decades past, lab managers could drive efficiency gains firsthand, in their local facility. Today, lab managers are often required to drive efficiency gains in remote locations without the advantage of proximity,” he added. One answer to these challenges is easier and continuous monitoring of GCs remotely. To meet these needs, Agilent’s newest GC systems feature remote system evaluation and reporting, which can ensure quality control and allow lab managers to respond to instrument issues without being onsite. Another answer is making systems easier for staff to use. Features for this include the automatic recognition and configuration of GC components, and what the company calls “smart consumables” for tracking usage rates and maintenance needs. All of these features can also better meet the future needs of GC users. “Building sufficient processing power onboard the instrument itself not only allows us to provide today’s intelligent functions, but to expand those functions in the future through upgrades,” noted Mr. Denoyer. “Today’s consumer is becoming accustomed to smart technologies in many consumer products, and with the concept of continuous upgrading to new capabilities and improved performance. This is expected to only increase in the future.” This also includes the upgrade of existing systems. “It is Agilent’s strategy to strive to make new intelligent functions available on previously installed Intuvo 9000, 8890 and 8860 GC systems well into the future. For example, we are making our new Chromatographic Evaluation intelligent functions available on earlier Intuvo systems as an upgrade.” These functions include automatic blank evaluation and detector evaluation to improve system readiness. However, capabilities vary by system. “We have now powered all our lab GCs with processors that enable system monitoring, troubleshooting and connectivity,” explained Mr. Denoyer. “We aspire to provide as much functionality in each of our systems, but because of some physical differences of each of the systems, we cannot always provide every feature on every GC.” Beyond GC, these capabilities are being applied across Agilent’s instrument portfolio. “It is fair to say that driving intelligent functions for instruments is considered a core strategy throughout Agilent, and already many instruments from spectroscopy, liquid chromatography and mass spectrometry are also providing intelligent functionality,” he added. Two focus areas of Agilent to meet these changes in labs’ informatics demand are cloud computing and user experience. System capabilities are only part of the story, emphasized Agilent, as they are integrated with informatics and service to create what the company calls a “GC ecosystem.” As described by Shawn Anderson, senior director of Marketing for Agilent’s Software & Informatics Division, the GCs must fit into a new lab informatics environment that is increasingly data centric—for example, one of shared, accessible data and unidirectional workflows. Two focus areas of Agilent to meet these changes in labs’ informatics demand are cloud computing and user experience. The company is continually expanding its cloud capabilities, capitalizing on unique capabilities such as data consolidation and recovery. Mr. Anderson noted that not all labs need the same Cloud capabilities. While the OpenLab CDS (chromatography data system) Cloud Solutions provides an enterprise solution, other smaller labs also want the same capabilities. In March, the company launched the Amazon Cloud “Quick Connect” Storage Option, for its CDS and ECM (enterprise content management) as part of its CDS 2.4 and EM XT 2.4 releases, for fast GC data storage and providing further options for labs of non-enterprise users. Working to improve the GC experience meeting GC customer needs, in addition to system hardware and informatics, is service. At the start of the year, Agilent began introducing its CrossLab Connect services, part of its range of CrossLab service offerings, such as from asset management and multi-vendor services. CrossLab Connect offers new instrument monitoring services and expands the role that services can play in the lab. Another example of the new role is Agilent’s PC-based Smart Alerts for GC and GC/MS, available on the 8890 and 8860 GCs, which sends an email, or other choice of format, notifying uses of preventative maintenance needs and technical recommendations. 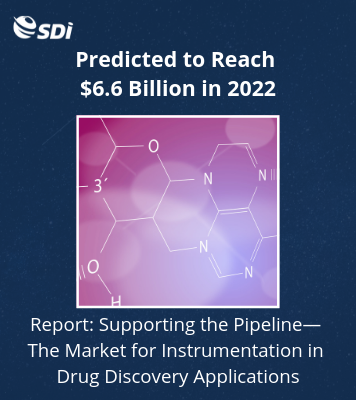 For further information on the GC market, including market data and vendor share, SDi’s 2019 Global Assessment Report: The Analytical and Life Science Instrumentation Industry is now available. Click here to learn more.